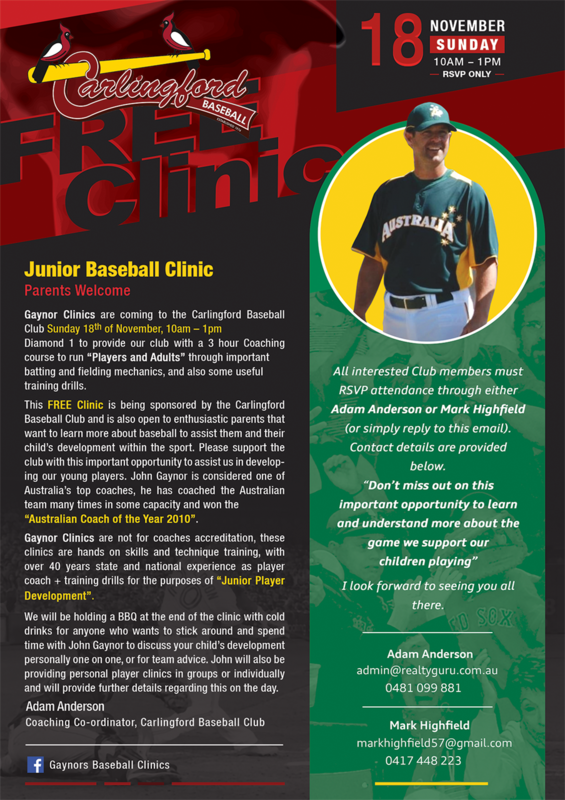 FREE Junior Baseball Clinic with John Gaynor. You must RSVP to info@carlingfordbaseball.com.au if you'd like to participate. Free BBQ at completion of course for all participants.